Students received a Falcon of the Month sweatshirt and a certificate and their photo will be put on display in a case at the middle school. 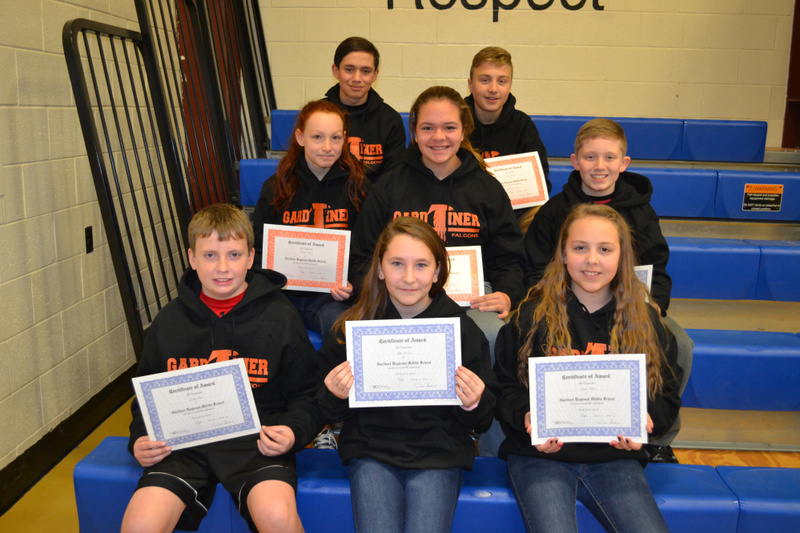 GARDINER — The following Gardiner Regional Middle School students were recently recognized for continuously demonstrating the 10 GRMS Core Values. These students were recognized, in front of their peers, at the school’s first quarter assembly. They received a Falcon of the Month sweatshirt and a certificate and their photo will be put on display in a case at the middle school. Grade 8: Isaac Gammon, Marc Belanger and Bailey Poore. Grade 7: Frank Albert, Emily Folsom and Ava Goraj. Grade 6: Casey Paul, Lilly Diversi and Amber White.